Set on the North Kona Coast of Hawaii’s Big Island, Four Seasons Resort Hualālai at Historic Ka‘ūpūlehu was named No. 5 on Foxnews.com’s list of the Five Best Golf Hotels in the World. Complementing the resort’s dramatic mix of white-sand beaches, dazzling oceanfront and black-lava landscapes, you’ll also find championship-level golfing in stunning settings. Whether you prefer modern resort amenities or old-school elegance at historic courses, the property is impressive on the green and in the guest room. Like all the other splendid amenities of the Four Seasons Resort Hualalai, the 18-hole Jack Nicklaus Signature Hualalai Golf Course has been crafted with extreme sensitivity to the land. 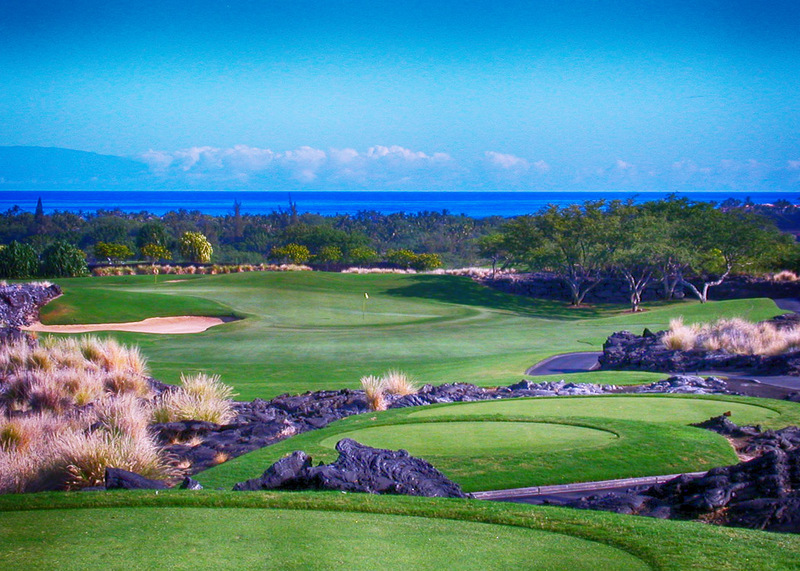 Winding over 7,100 yards, this carefully groomed course begins in a lush kipuka (oasis) and then flows across brilliant green fairways contoured against black lava. Finally, the course returns to the ocean, where the finishing holes capture the drama and the beauty of direct seaside golf. After an exhilarating game, relax in the clubhouse where tropical refreshments, ocean views and a club-away-from-home experience await you. The property features championship golf, island-fresh dining, and a genuine aloha spirit during your unforgettable stay. Learn more at fourseasons.com/hualalai.